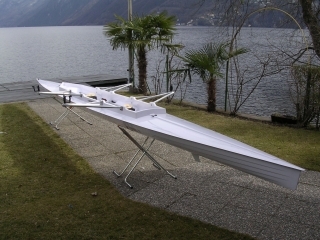 The hull, the bulkhead, the covers are made with glass fibres and polyester resins (Regattas FIC) The double action seat is made of wood or on request of carbon. 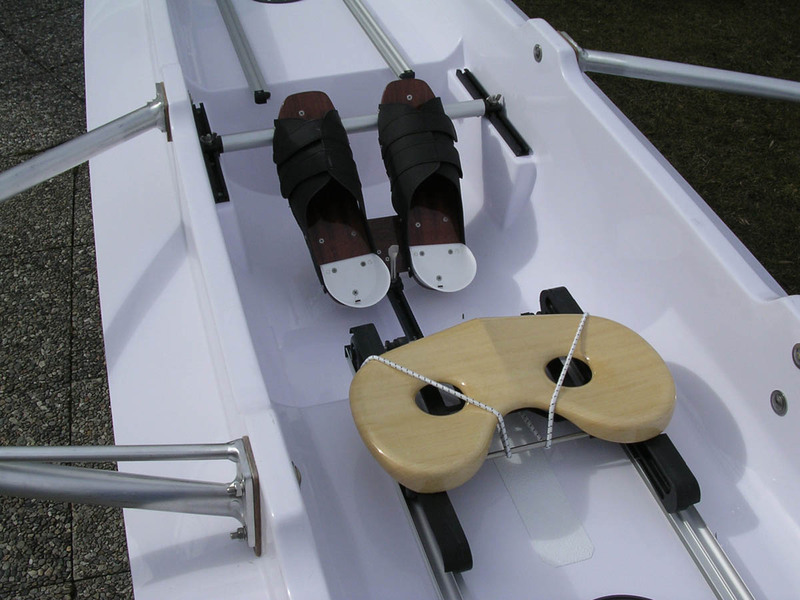 Wooden multilayer foot stretcher with carbon reinforcement. 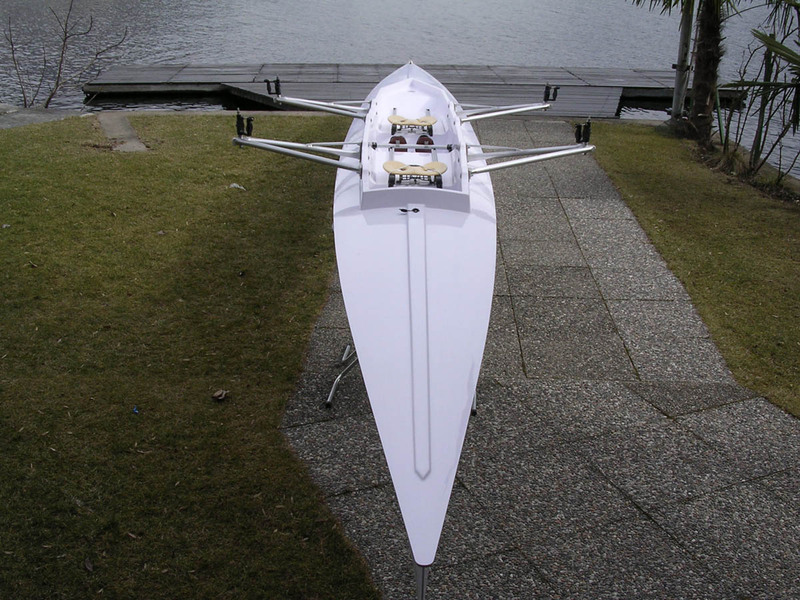 Open shoes and/or on request foot stretcher with rowing shoes NW. There is the possibility to set lateral floats, useful for beginners and moreover, safer for everybody. We suggest to use this kind of boat in hot water as river or lake and especially in sea. 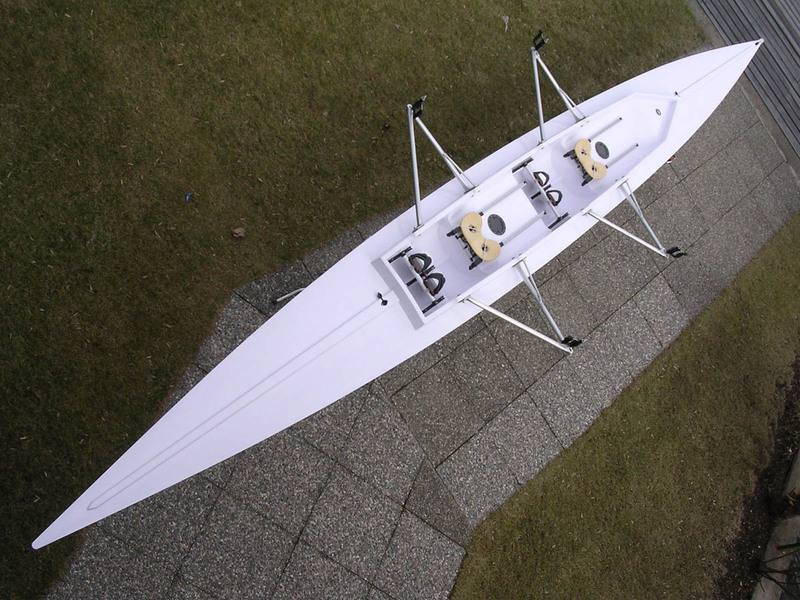 There is the possibility to add the fifth rigger for powerful athletes.